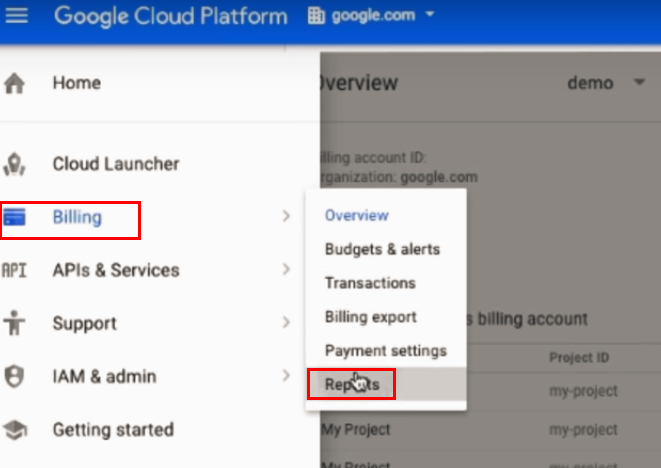 Understand your spending at a glance with Google Cloud Billing reports and get more control over your GCP expenses. Cloud Billing reports will help you quickly answer the above questions, provide charts about usage or discover and analyze trends. To access reports, go to Billing section from the main menu and select Reports. Watch this Youtube video with details about Billing Reports.